4. The Blues is not about choice. You stuck in a ditch, you stuck in a ditch. There ain’t no way out. 5. Blues cars: Chevys, Fords, Cadillacs and broken-down trucks. Blues don’t travel in Volvos, BMWs, or SUVs. Most Blues transportation is a Greyhound bus or a southbound train. Jet aircraft and state-sponsored motor pools ain’t even in the running. 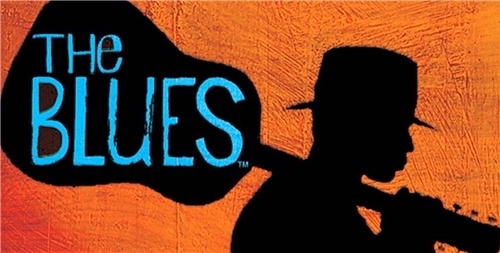 Walkin’ plays a major part in the blues lifestyle. So does fixin’ to die. 6. Teenagers can’t sing the Blues. They ain’t fixin’ to die yet. Adults sing the Blues. In Blues, “adulthood” means being old enough to get the electric chair if you shoot a man in Memphis. 7. Blues can take place in New York City but not in Hawaii or anyplace in Canada. Hard times in Minneapolis or Seattle is probably just clinical depression. Chicago, St. Louis, and Kansas City are still great places to have the Blues. You cannot have the blues anyplace that don’t get rain. 8. A man with male pattern baldness ain’t the Blues. A woman with male pattern baldness is. Breaking your leg ’cause you were skiing is not the blues. Breaking your leg ’cause a alligator be chomping on it is. 9. You can’t have no Blues in a office or a shopping mall. The lighting is wrong. Go out to the parking lot or sit by the dumpster. 11. No one will believe it’s the Blues if you wear a suit, ‘less you happen to be an old ethnic person, and you slept in it. 13. Blues is not a matter of color. It’s a matter of bad luck. Tiger Woods cannot sing the blues. Sonny Liston could. Ugly white people also got a leg up on the blues. 15. If death occurs in a cheap motel or a shotgun shack, it’s a Blues death. Stabbed in the back by a jealous lover is another Blues way to die. So are the electric chair, substance abuse and dying lonely on a broken-down cot. You can’t have a Blues death if you die during a tennis match or while getting liposuction. 18. Persons with names like Amber, Jennifer, Tiffany, Debbie, and Heather can’t sing the Blues no matter how many men they shoot in Memphis. 19. Make your own Blues name Starter Kit: a. name of physical infirmity (Blind, Cripple, Lame, etc.) b. first name (see above) plus name of fruit (Lemon, Lime, etc..) c. last name of President (Jefferson, Johnson, Fillmore, etc.) Examples: Blind Lime Jefferson, Jackleg Lemon Johnson.